I accepted Christ at the age of eleven not really knowing what I was doing or what it meant, I thank the Lord he knew and always knows what he is doing with us. When I started high school my mom started attending the Salvation Army and at the same time I started drinking and doing many other drugs. For the next 6 years I was a slave to the things of this world but God always protected me from getting hurt or in trouble. At the age of 20, one day after my birthday God placed the right people around me to help me stop drinking and I did. God also helped me to stop doing every other drug I was involved with. For the next year I attended church every Sunday and was constantly touched by what God was saying to me through the preacher, I felt like he was talking to me directly every week. I finally decided to allow the Spirit to start working in me and to transform me into the person God had meant for me to be. I believe this is when the hardest part of my life began. I say this because I was full of poison and to feel like a hypocrite every time I will fall and do the wrong things again was not easy. But God’s love and tender voice was always with me telling me to get on my knees to feel his mercy and love. So, I did just that. I started all over again and from one moment to another he started changing the way I acted, spoke, and many other aspects of my life. However, this did not come without many failures in which he used to humble me and to teach me His mercy. Luke 6:40 states, “the student is not above the teacher, but everyone who is fully trained will be like their teacher." Ever since I was born, I was a member of the Catholic Church. My parents encouraged me to involve myself with the church, and I did. However, I always felt “robotic” when it came to participating in church. I felt like the church services were routine and boring. Although I never fell away from the church, I never felt enthusiastic about my involvement with the church. Thankfully, my parents also raised me to have good morals. However, my relationship with Christ was nonexistent. Christ was merely a name I heard on Sundays. Nothing more. When I was 17, my dad sent me to work at Star Lake Camp during the summer. I was completely unaware that it was run by The Salvation Army. That summer, I met Amanda Allen, my future wife. We became good friends and a year later, she started bringing me to her Salvation Army corps in Port Jervis. I had never experienced such enthusiasm at a church! Everyone seemed so “on-fire” for Christ. After going to the corps for a couple of months, becoming a student of the Word, and praying more than I ever had as a Catholic, I accepted Christ as my personal Savior. I had such a strong desire to know Christ and to have a relationship with Him. I felt reborn in my faith and became so excited for my impending journey with Christ! After Christ transformed my life, I became more on fire for Christ than ever before. I now live a life that is God centered, rather than self-centered. I see God as not just a word I hear on Sundays, but my guiding light and my Sovereign Lord and Savior. I started going to church when I was five years old. I accepted Jesus as my savior when I was seven and had a deep relationship with Him, even at that age. However, my life was not “easy” because I felt so close to God. I lost my dad when I was only 9 years old, and being the oldest girl, and second born, I took on a lot of responsibilities. I started to resent my mom and went into a deep depression and pulled farther and farther away from God. I finally went to a mental hospital for depression. When I returned, I was afraid to go back to my church, because I was worried I had hurt them so much. I turned to a friend, who would eventually be my husband, and he encouraged me to find what makes me happy. I decided after several months to go back to church. I have never experienced anything that seemed like the prodigal child in my life, until I returned “home”. I had planned apologizes, and no one wanted to hear them. They just embraced me and cried over my return. I struggled with acceptance and loving myself, and God used the people from my church to show me His love for me. From there, I rededicated myself to God. I attended college, got married, and accepted my call to come to the College for Officer Training. One verse that has always helped me is, “The Lord is close to the brokenhearted and saves those who are crushed in spirit.” Psalm 34:18. I know that God saved me, despite my “crushed spirit”. por medio de aquel que nos amó. 38 Porque estoy convencido de que ni la muerte, ni la vida, ni ángeles, ni principados, ni lo presente, ni lo por venir, ni los poderes, 39 ni lo alto, ni lo profundo, ni ninguna otra cosa creada nos podrá separar del amor de Dios que es en Cristo Jesús Señor nuestro. I was raised in a Christian home and attended church regularly. Being in church did not make me happy. I knew about Jesus but I did not know who Jesus truly was. When I was in sixth grade, my family stopped attending. I felt relieved and did not think I would ever go back. While growing up, I was a Class A perfectionist. I strived to get excellent grades, worked hard at pleasing people, and had my life all figured out including plans A through Z. My life centered on my choices and how I wanted to live. When I was about fourteen, my brother came home and invited my sisters and me to attend a Salvation Army church. I never knew The Salvation Army was a church. I refused although my sisters went joyfully. My life was planned and my plans did not include The Salvation Army. About two years later, I finally decided to attend a service. It was not the same church I grew up going to. I continued to go and finally found out who Jesus truly was. Jesus showed me an everlasting love and mercy that I never knew was possible. I, however, continued to struggle with my perfectionism. Every time something went wrong in my life, I ran away from church, I tried to run away from Jesus. As time went by and situations went from one extreme to the next, I began to lean more on Jesus, accepting His plans for me and the peace brought into my life through relationship with Him. Although it was difficult, I committed myself to persevere in all He asked me to do. Even though at times I want to run away from situations in life, I am reminded of what James 1:4 says, “Let perseverance finish its work so that you may be mature and complete, not lacking anything”. Jesus turned my life around, giving me the strength I needed to persevere in all things. From a young age I worried about my life making a difference. I didn’t want to “go through the motions” in life. I was scared that after I was gone, no one would remember me. These are quite deep thoughts for a 5 year old, but it’s what went through my head when I was lying awake in bed at night. Also from a young age I had the innate impression that God existed, but I saw him as a distant task master who was removed from his creation. When I was 14 I went on a week-long camp with a local church. I was drawn in by the prospect of a week vacation with friends, away from our parents. I was not anticipating meeting young adults, whom I quickly looked up to, that were passionate about God and knew him like He was so very, very close to them. I saw that these young adults had something inside them that was indescribable. It was joy, love, compassion, hope, and so much more. I wanted this “new life” inside of me too, so I asked Jesus to come into my life. I realized that God wanted to have a personal relationship with me, and that He has a purpose for my life. I called, He answered, and since that night my life has been forever changed. My life now has a purpose; to live to show God’s goodness. My life now has a calling; to share God’s love with the world. I no longer worry about people remembering my name, I am only concerned with them remembering Jesus’ name. Isaiah 61:1-2 says: “The Spirit of the Sovereign Lord is on me, because the Lord has anointed me to proclaim good news to the poor. He has sent me to bind up the brokenhearted, to proclaim freedom for the captives and release from darkness for the prisoners, [and] to proclaim the year of the Lord’s favor”. All I wanted was to feel accepted. I thought if they saw my heart, they would know my worth. Instead all they saw was another “nobody” with a dark and empty future. I grew up in the country of Guyana in a family of seven. We spent many years facing the plight of poverty. In these times I often thought about what my future would look like; will the stain of my situation ever be removed so that I may be known as someone of worth? I did not have a spiritual foundation as my family was not Christian. So with a loss of hope, I cried many nights from the pains of the daily ostracism I faced. However, through all of this, God had a purpose for my life. He used my Christian uncle to bring me to God and after some time, I accepted Jesus Christ into my life as my Savior. This was a defining moment for me. From here the Lord began his transformative work within me and I grew to love him and was willing serve him in any way. All was well, there was finally hope, until at one point I felt like I was giving much of myself to God but was receiving little from him. My circumstance didn’t seem to be changing much. But God was teaching me patience, and in his love for me he let me know that he understood my pain, he heard my prayers and he had not given up on me. Today, I am a proud high school graduate, a former school teacher and a student of The Salvation Army College for Officers Training! Who would have thought that I who was once called nothing would be here today? In the eyes of man I was worthless but to God I was a beautiful masterpiece. The Lord transformed my life and so I know with God all things are possible! Mi nombre es Danielle. Yo nací y crecí en Nueva York. Mis padres fueron oficiales/pastores en el Ejército de Salvación .Tuve una buena infancia, libre de cualquier tipo de daño o trauma.Yo vivía en un hogar Cristiano lleno de amor , y aunque hemos vivido en algunos lugares diferentes , mis padres siempre me hicieron sentir segura. Cuando yo era una adolescente, encontré problemas que muchos adolecentes enfrentan . La presión de ser" linda" y "flaca" como todos los demás , el miedo a no encajar ; y el último deseo de ser amado por alguien . Tuve una relación enfermiza con un hombre mayor en el intento de ocupar el espacio en mi corazón que yo quería desesperadamente ser llenado . Seguí luchando con el deseo de ser amado y sentimientos de indignidad , cuando traté de guardar esos sentimientos en las partes más alejadas de mí, yo no podía quitármelos de encima . Cuando tenía 19 años mis padres decidieron divorciar después de 22 años de matrimonio .Y en medio de todo eso, mi querido abuelo falleció después de una larga y dura batalla con su salud. Yo estaba enojada con Dios por lo que me había pasado cuando era una adolescente , yo estaba enojada con Dios por romper mi familia aparte , y yo estaba enojada con él por tomar mi abuelo también. Pero un día, mientras estaba sentada en mi habitación, me sentí obligada a recoger a mi Biblia y leerla, algo que no había hecho en mucho tiempo. Cuando abrí la Biblia el versículo que vi fue “Él sana a los de corazón quebrantado y les venda las heridas” Salmos 147:3. Esa noche me acordé cómo Él sabía lo que yo estaba pasando , que había un propósito para la lucha , y que el tiene el poder de sanar m icorazón roto ; y vendar esas viejas y nuevas heridas que memarcaron . Después de ese día le entregué mi vida y mi corazón roto de nuevo a Dios para arreglar y hacer nuevo con su amor y gracia . Sigo amando a mi Dios, el sanador de la quebrada y el único que me puede dar el verdadero amor . I grew up in a Christian household, both of my parents being pastors, and learned of God from a young age. My parents demonstrated the Lord’s love through the way they loved me unconditionally, and because of that I learned to accept and love God from a young age. Yet God is consistently working to strengthen my character and faith. When I entered into college I began to lose sight of my identity that was firmly resting in God. I let my struggle of low self-esteem, jealousy, and need for belonging take control of my actions. I began to not even recognize the person I was becoming and I was ashamed of the things I became involved in. I felt extremely lost. Over some time I began to understand the reason for my feeling of lost identity, and that was because I was no longer living the way God wanted me to be. I started to realize that God was seeking after me, even when I was turning to other things for satisfaction. It came to a point where I had to make a choice of following my desires or giving up my temptations and my worries and follow God. Even though the choice was not easy, I remembered the love God had shown me and knew that I could not live if I was not in the will of God. Once I made that decision I felt whole again. I felt like I was slowly starting to recognize the person I once forgot. I discovered my identity, my beauty, and my belonging could be found in God. This God will never fail me, will always guide my feet and take away my worries.“But you are a chosen people, a royal priesthood, a holy nation, a people belonging to God, that you may declare the praises of him who called you out of darkness into his wonderful light” (1 Peter 2:9). “All of us like sheep have gone astray, Each of us has turned to his own way; But the LORD has caused the iniquity of us all To fall on Him” (Isaiah 53:6). Growing up I didn’t have any confidence at all. I let what others said shape how I saw myself and my abilities. I started to limit what I thought I could do and I started to build a box around myself. I saw everything inside of the box as things that I could do and everything else wasn’t even worth trying. This continued through school, and later I thought I found the perfect career to fit inside my box: accounting. I then went off to college to get my accounting degree. However, I saw myself and thought that I needed to do other things in order to fit in. When college was coming to an end I was excited to start my career and do what I have planned to do for years. However, I graduated right at the beginning of the recession and was forced to move back home. This was the last thing I wanted to do. Like many young adults I wanted to get as far away from my hometown as possible. However, it is exactly where God wanted me to be. I started to attend church again and that started something stirring inside. June 2007 I went with my church to attend a conference in Hershey, PA. I thought that this was a good chance for a vacation, but God had bigger plans than that. I remember sitting in the upper deck during the Sunday service and God speaking to me. I remember the long walk down to the altar with my heart racing and God changing my life. I remember God saying that it doesn’t matter how other people see me, my identity is in Christ. Slowly over the years, with God’s help and trusting him the walls of the box came down. God freed me from my own fear and negative thoughts about myself. I think of the verse Philippians 4:13 “I can do all things through Christ who strengthens me.” It’s a reminder that it’s not through our own abilities or our own strength that things happen, but through God’s. I grew up in a loving Christian home with both of my parents, a big sister and a big brother. I was very involved in my Church. It seemed like I was always there and all of my friends came with me. Eventually, around 17, I stopped going to Church. My life got “busy” and I became a “party girl”. I was very good at hiding that side of my life. After High School, I got a job in a store called Kitchen Collection where I discovered my talent for logistics and organization. I was quickly promoted and thought this was it for my life. I was happy. I felt fulfilled. One day, I lost my “dream job” and I ended up taking a job as a Youth Director with The Salvation Army. I was vaguely familiar with the Army since my Aunts and Uncles were Officers and most of my family was involved with it. It took me a long time to give up my “party girl” secret. I wish I could tell you that I had a big “WOW” moment but it was a process. One day, while reviewing a Sunday school lesson; I realized that the way I had been living my life, was not the way God intended for me to live it. He had way bigger plans for me. It was at that point that I recommitted my life to Christ. “Alas, Sovereign Lord,” I said, “I do not know how to speak; I am too young.” But the Lord said to me, “Do not say, ‘I am too young.’ You must go to everyone I send you to and say whatever I command you. I grew up in a Christian home and was privileged to have Christian parents raise me. Although I grew up going to church and I accepted Christ as my savior when I was 8 years old, I never really understood what it meant to be a Christian. It wasn’t until my teen years that I truly began to have a relationship with Christ. My teen years were a very dark time for me, I had extremely low self-esteem, and being overweight made me feel that I wasn’t as pretty as other girls my age. From the ages of 14 until about 18 I woke up most mornings feeling I had no purpose here on earth and that everyone’s lives would be better if I wasn’t around. When my mom found out that I was feeling this way she began check up on my more often and we began to discuss my feelings more, at first I didn’t like it at all but I did begin to realize that it was necessary. When I was 16 I had the opportunity to work at Star Lake Camp and there I began to understand what it truly meant to be a Christian, and how Jesus views me. It was hard to understand that there was a God that loved me, even with all of my flaws, when I couldn’t even love myself. Slowly I began to comprehend the fact that God has set me apart for a purpose and that he was going to use me despite the fact that I was a broken person. My story is one of transformation, finding my identity in Christ, allowing him to work in my life, and accepting His love for me has led to a life of freedom, joy and peace. I know that without Christ I wouldn’t be the person I am today. Crecí en un hogar lleno de amor junto a mis padres y hermanos. Me crié con buenos valores y unión familiar. Cuando tenía 14 años acepté a Jesús como mi único y verdadero Salvador. Esos primeros meses de mi conversión fueron maravillosos. Sin embargo poco a poco me fui alejando de los caminos del Señor. Me gustaba ir a fiestas, discotecas, bailar y tomar bebidas alcohólicas. Esa era mi definición de felicidad. Yo misma me estaba engañando. Al culminar la fiesta y llegar embriagada a mi casa me daba cuenta lo verdaderamente sola, vacía y triste que estaba. Era una joven con muy baja autoestima, me sentía menos que todo el mundo, no estaba conforme con mi físico, tenía un mal carácter y bajo coraje me agredía a mí misma. Es por eso que en el alcohol y en las fiestas encontraba refugio al menos por unas horas. En medio de mi desobediencia, Dios siempre estuvo conmigo. El Señor me libró de la muerte en varias ocasiones, la más fuerte de todas cuando mis amigas y yo fuimos apuntadas por una pistola. Pese a esa mala experiencia, no aprendí la lección y seguí disfrutando lo que el mundo me ofrecía. Mi vida se seguía llenando de mentiras, alcohol, fiestas y malas decisiones. Un día llegué embriagada a mi casa y me derramé un plato de sopas calientes acabadas de salir de la olla en mi muslo derecho, a consecuencia de eso sufrí quemaduras de segundo grado. Ese día me di cuenta que algo estaba mal en mi vida. Comencé a visitar nuevamente el Ejército de Salvación y Dios transformó mi vida y me dio la verdadera alegría que mi vida necesitaba, esa que solo la puede dar Jesús. I was born in Cuenca, Ecuador. My dad was still a student, so we lived in my grandparents’ house. My mother was always patient and took care of every need that I had. My dad was a very serious and disciplined man. My dad showed me acts of charity that marked my life. He showed me that we need to help our neighbors. My father was a judge and he showed me all of the problems that people were having. Some were getting divorced, others owed lots of money to their family, and others had to deal with death. I was able to see the emotions they had and I could feel their pain as well. When I was nine years old, my only brother was born. During that time, someone told me the Gospel. People were meeting in homes; there were no churches where I was. While we were praying, God told me that my father would be brought to Him through me. At that time, I didn’t understand what these words meant. I lived in a prosperous house where my father didn’t oppose my mother and me going to church and would even go with us sometimes. However, when my dad showed us that he was leading a double life, these words that God told me began to make sense. He started to come home drunk every day. He began verbally and physically abusing my family as well. He also cheated on my mom. Although my mom was trying to save her marriage, the Lord gave her the opportunity to open a church in our town. The meetings started in our house. When I was fifteen, my parents got divorced. A year later, they got married again. It felt like the roller coaster of my life had finished. I thought my life was going to be normal again. In Ecuador, when a man is 17, they have to do one year of military service. This is why my parents sent me to live in the United States. It was the most difficult year of my life. Because I got everything from my parents, I had to discover what my needs were and had to learn how to take care of myself. I called my mom a lot and she would tell me that things at home were fine. When I finally returned to Ecuador, I found out that things were not fine, but had become worse and what my mother was telling me on the phone had not been true. My father had not been drunk in eight years but he had certain habits that finished my family. My mother, brother, and I left my father and moved far away from him. We lived in an apartment alone. I finished my first year of law school and my mom decided that we needed to move to the United States because my dad would not help us out with money any more. When we moved here, it seemed like all of my dreams had ended. I had a deep crisis and did not know how to dream any more. My mom is a Christian so the first thing she did was find a church. She took my brother’s hand and walked around. She saw a sign that said in Spanish “Sunday Worship Service.” She started to attend Queens Temple, where Captain Rosamilia was in charge. Although I grew up with a mother who was a Christian, I did not find myself going to church. One time when I was arguing with my mother, she convinced me to go to church. They had scatology classes there so I went to church with her. That was the only reason that I went. While we were walking to church, I told my mother that everything that happened is her fault and she couldn’t stop crying. That day at church, while I was attending scatology classes, Captain Rosamilia said that Captain Roberts wanted all of the church to be part of a youth meeting. From that moment, I started to feel uncomfortable. At the meeting, everyone was praying and had their eyes closed, but mine were open. This big man saw me with my eyes open and he approached me. Then he hugged me. I could not hold my tears back. He started telling me in my ear things about myself that he didn’t even know or have the right to know. He was telling things that had just happened with my mom. That day, I asked the Lord for forgiveness and started my Christian walk inside The Salvation Army, which allowed me to share the Word of God the next week. The night that I first preached, I remember that the person in charge asked for a testimony. My brother stood up and said, “I was praying to the Lord for my brother to attend church and he is the one who is preaching tonight.” At that moment, I was just thinking about how many times I laughed at him and called him names and in return, my brother was praying for me. It’s been ten years since that night. I continued participating in the church as a Sunday school teacher, youth preacher and other things. At one time, my father came to visit and we had time to work on our relationship. My relationship with my father was not the best. He was the man who abandoned us. He was the person who insulted me when I was a kid. He called me names. He said that I didn’t deserve to have his name because his name is Pedro too. I was always trying to do things so that he could be proud of me. During the days of his visit, Major Rosamilia asked me if I could preach one Sunday. That Sunday, my dad attended church. He was there sitting and listening to me preach. By the end of the sermon, my dad approached and said, “I’m very proud of you.” For the first time in my life, I heard those words come out of his mouth. These words blessed me and helped me see what my purpose is here on earth. My dad and I hugged each other. I couldn’t say anything, I had a knot in my throat. Like Joseph to his brothers, I wanted to say, “don’t cry anymore, because it was not you, but it was God who sent me for you to save your life.” Now I realize that outside, there are more Pedros who need to come to the feet of Jesus Christ. Mi nombre es Vanessa, nací en Ecuador, soy hija de padres ecuatorianos y soy la hermana mayor de dos hermanos. Vengo de un hogar de padres divorciados, mis padres se separaron cuando yo tenía siete años. Ellos se sumaron al gran porcentaje de parejas que se distancian por perseguir el sueño americano. Mi padre decidió venir a los Estados Unidos para buscar un mejor porvenir y al cabo de unos años muchas situaciones se pusieron de por medio entre su relación y los muchos kilómetros de distancia terminaron rompiendo su matrimonio. Mi madre luchó mucho por suplir las necesidades mías y de mi hermano, ya que la imagen paterna había desaparecido. Fue hasta cuando cumplí la mayoría de edad que pude viajar a los Estados Unidos cada verano para ver a mi padre, y en un par de meses tratar de recuperar y restaurar nuestra relación. Mientras tanto el resto del año escolar estaba bajo el cuidado de mi madre, y fue así como termine todos mis estudios. En uno de esos veranos conocí a una persona que asistía al Ejército de Salvación y me invitó una de las reuniones que se realizan durante la semana. Recuerdo era un miércoles de oración, y aquel día mientras cerraba mis ojos de pronto sentí como algo inundaba mi corazón y no pude evitar romper en llanto y acepte a Jesucristo como mi Salvador. Al terminar ese verano tenía el fuerte deseo de regresar a casa y contarles a mis amigos y familia como el Señor me había tocado; pero la transición no fue fácil, al cabo de un tiempo los estudios, el horario apretado y una familia renuente al cristianismo me enfrió. Pero la amistad que había hecho con la persona que me presentó el evangelio se hizo muy fuerte a pesar de la distancia, y en sus palabras encontraba al Señor hablándome y recordándome en mi corazón que Dios estaba aún esperando por mí. Aún así, yo consideraba que no tenía tiempo para el Señor, y me convertí en una cristiana de “domingo”. Tres años a parir de eso, yo me había graduado como Doctora en Medicina General y creía que lo había logrado todo y decidí venir a vivir a los Estados Unidos para seguir estudiando. Pase por tiempos muy difíciles, y la iglesia donde había conocido al Señor por primera vez se convirtió en mi hogar, sus miembros en mi familia, y aquel amigo entrañable en mi esposo. Pronto nos hicimos padres de mi hija mayor Romina, y a medida que fue creciendo ella y yo nos envolvíamos más en las cosas del Señor. Al cabo de un tiempo me convertí en maestra de escuela dominical de niños y unos años después en maestra de jóvenes. Poco a poco iba descubriendo que mi pasión por el Señor iba aumentando y estaba dispuesta a cambiar toda mi vida por Él. Mi esposo y yo teníamos el llamado, pero cuatro años pasaron antes de finalmente aplicar para entrar en el CFOT. Antes de empezar el proceso de aplicación pase por sacudones muy fuertes; había quedado embarazada de mi segundo hijo y tenía una amenaza de aborto, mi esposo había cambiado de trabajo y tenía horarios extremadamente copados, y mi padre que ya había regresado a Ecuador estaba gravemente enfermo. Pase por momentos muy duros, pero siempre la mano de Dios estuvo ahí, en unos meses Liam nació sano y hermoso; pero mi padre empeoraba por lo que tuve que hacer un viaje de emergencia. El murió en mis brazos y no había nada que como médico yo pudiera hacer, pero como hija de Dios pude presentarle el regalo de la salvación. Esa fue la confirmación a mi llamado, entendí que el Señor me quería salvando almas. I spent the majority of my childhood moving around. I moved at least seven times before the age of 17. My step-father was in the Navy. To be able to experience all of those places was nice, but it made it hard to make friends and left me feeling lonely. I didn’t think that there was much more to life than the pit of despair I was in. I grew up hearing about God and going to church. I went to church not because I wanted a relationship with God, but because I wanted to get away from the house. I didn’t understand God and thought that everyone who went to church felt the same way I did. My family moved when I was thirteen to a small town thousands of miles away from where I had been living. My family began going to a small Free Methodist church. It was during that first year that I found Jesus with his arms wide open. The love of God was so greatly upon me that I wasn’t able to keep away from God. I involved myself more and more in the church and wanted everyone around me to know about the love God had shown me. I had been struggling with depression along with coping with loneliness in my life and God helped me through that time and showed me that I wasn’t alone. I find comfort in Psalm 16:8 which says “I know the LORD is always with me. I will not be shaken, for he is right beside me.” (NLT) My life was no longer meaningless. Knowing Jesus as my Savior doesn’t necessarily make things easier in my life, but that knowledge makes my life all the more fulfilling.Since I accepted Christ, I have been pursuing God and what He wants me to do. I have been trying my best to show the love of God to others so that they may have the same joy and fulfillment. From the earliest days of my childhood, I can remember attending church each Sunday and learning all about God’s great love for me. As I grew older I discovered that I knew in my head all the right things to do and say, yet my heart remained completely oblivious to what a proper relationship with Christ was all about. My “Christian” identity eventually succumbed to my own arrogance and pride as I hid behind the mask of faith for the sole purpose of earning approval from those who had placed lofty spiritual expectations upon my life. Do I continue to put on a front for the purpose of gratifying my foolish desire Or… Do I finally place my life, my dreams, and my will in the hands of the One who gave me breath? It was in this moment of complete and utter brokenness that the Spirit of God moved within my heart and illuminated the path to true fulfillment, but first I had to become willing to step out in faith and accept God’s pleasing and perfect will.I stand here today a living testament to the power of a God who refuses to give up on His people.Titus 3:5-7 says; “He saved us, not because of righteous things we have done, but because of his mercy. He saved us through the washing of rebirth and renewal by the Holy Spirit, whom he poured out on us generously through Jesus Christ our Savior, so that, having been justified by his grace, we might become heirs having the hope of eternal life.” I pray that this same power may become real in your life. Seek Him out! From as far back as I could remember my entire childhood was consumed with being a part of The Salvation Army church in Perth Amboy, NJ. My single mother sent me there because of all the Christian programs they had for children; Christ was very important to my family. This made it easy to accept Jesus as a young child, and always want to be good for Him. As I grew up, the leaders in my church saw something in me that I didn’t see in myself, or rather didn’t want to see in myself. I can remember being the youngest Sunday school teacher, and being asked about the possibilities of becoming a Salvation Army minister. I would run through all the reasons I couldn’t, which were excuses of my main problem; I didn’t feel like I was worthy of serving God in such a mighty way. Once the infamous 21st birthday came; I felt as though I wanted to “live my own life” not understanding my life was not my own. So I started partying on the weekends; making sure I still made it to church occasionally. I understood that I still needed that relationship with God; I just wanted it on my own terms. After a couple of years experiencing “my” life on “my” terms, I was filled with conviction; the Holy Spirit kept telling me “This is not you”. I allowed Jesus to become the Center of my life again and have no desire to live life the way I was. Most days my insecurities still creep up on me, I hold close to my heart this verse: Ephesians 2:10 “For we are God’s masterpiece. He has created us anew in Christ Jesus, so we can do the good things he planned for us long ago.” I am reminded that I am worthy because of who I am in Jesus, and grateful that He has called me to serve him as a minister through The Salvation Army. I met the Lord at a very young age. Having parents as Officers, I was always taught to love the Lord. I was born and raised in The Salvation Army, which makes everything else very different for me. God was always the center of our lives at home. I remember the day I accepted the Lord in my life. I was four years old and begged my mother to pray with me down at the altar. And since then, I knew that God had a special plan for me. During my teenage years, I struggled with God and his plans for my life. At one point, I didn’t like going to the corps and wasn’t going through the right paths because of my friends; just to put it out there, I never did drugs or drank. All of my friends had their careers and knew what they wanted to be in life and I wanted to be just like them; I wanted to be accepted. When I was about 15, I knew things had to change. I wasn’t happy where I was and with the friends that I was with. It was like I was living a double life. I was one way in church and the complete opposite outside. One Sunday morning at a Young Adults retreat, I gave myself to God again and my relationship with Him was renewed. Ever since I renewed my relationship with the Lord, I have been living for him. My ministries at the corps and the division grew, and now I am on my way to being what he has called me to be. I am thankful for God and his grace and mercy. Even though my testimony is not life changing, I know that God can still transform someone even through the smallest acts. Mi nombre es Isabel Mino. Nací en una familia Cristiana Católica, siempre íbamos a la iglesia pero nunca me sentí cómoda, me parecía que no era mi lugar. Cuando crecí y me hice adolecente empecé a buscar otras iglesias sin que mi mamá se diera cuenta. Por casualidad mi mamá me inscribió en un colegio Cristiano Evangélico y yo podía asistir a los cultos y a las células sin que ella supiera. Me gustaba mucho, pero un día mi madre se dio cuenta que yo estaba asistiendo a los cultos y se molestó. Su decisión fue sacarme del colegio de inmediato, me inscribió en un colegio de monjas. No pase ni un mes en el colegio y me dio anemia y tuvieron que sacarme del colegio, no termine el año lectivo. Ya después de eso no volví a saber del Señor. En 1998 llegue a este país a Danbury CT y tome la mala decisión de casarme con un hombre que me maltrato por siete años, pero finalmente en el 2005 me divorcie. En el 2007 conocí en mi trabajo a mi esposo Daniel y en Diciembre del mismo año nos casamos. Queríamos formar una familia pero yo tenía una enfermedad en mi útero que me impedía tener hijos, en 2009 comencé a ponerme delicada de salud, al mismo tiempo que esto sucedía también estábamos a punto de quedarnos sin trabajo por la recesión el lugar estaba a punto de cerrar. Mi suegra la Capitana Mino se encontraba como Oficial Asociada en Reading Temple, al enterarse de mi delicada salud nos convenció de mudarnos a Pennsylvania con ella, nos dijo que había buenos especialistas para el problema del útero que yo tenía y que no sería tan difícil encontrar trabajo. Al fin nos mudamos, y fue allí que por primera vez conocí al Ejército de Salvación, era la iglesia que siempre había buscado. Mi suegra me enseñó a poner todo en las manos de Dios. Mi esposo también encontró enseguida un buen trabajo. Yo me sentía llena de fe, comencé a conocer a un Dios que contesta la oración. Así que día y noche yo oraba al Señor para que me diera la dicha de ser madre de una niña, pasaban los meses y nada pero mi suegra siempre me dijo no te preocupes tú has o que Dios te pide y El hará lo que le corresponde hacer. En Febrero 2011 el Mayor DeVault decidió mandarme a un seminario para líderes, en este seminario tuve una experiencia única desde llegue sentí la presencia del Señor. Sentí su llamado diciéndome que tenía que trabajar con los jóvenes de la iglesia, cosa que ya me habían pedido y yo me negué hacer. El seminario duro tres días y el último día yo me arrodille en el altar y le hablaba a Dios diciéndole que no estaba segura de lo que me pedía que por favor me diera una señal. Ese mismo día llegue a mi casa y sentí una necesidad enorme de hacerme una prueba de embarazo, jamás olvidare la reacción de mi esposo al decirme “Estas segura? Vas a sufrir si sale negativa, no quiero verte llorar, me rompes el corazón.” Y yo insistí esa prueba. La prueba de embarazo salió positiva. La señal que El Señor me envió fue muy directa. Él es fiel! Dios hizo el milagro de darme una niña muy tierna y saludable, decidimos llamarla Mia. En el 2014 fuimos al Seminario de cadetes y simplemente confirmamos el llamado del Señor. Y aquí estamos tratando de dar lo mejor de nosotros para su Honra y Gloria. Soy el hijo mayor de un hogar Cristiano, tengo tres hermanos. Vivíamos con mi abuelita una mujer temerosa de Dios. Como la Biblia dice en (Hechos 16:31 NVI) Cree en el señor Jesús, así tú y tu familia serán salvos. Fue así como mi madre encontró al Señor y nos llevó a la iglesia, aunque muchas veces mi padre no nos acompañaba, yo amo a mi padre, aunque él nos enseñó a mi madre y a mí (como hijo mayor) la fuerza y respeto hacia él atreves de la violencia. Pero las ganas que tenía mi madre de encontrar a Dios eran más grandes que cualquier cosa. Yo era un niño muy juguetón y distraído pero con mucha Fe, mi madre siempre cuenta en sus predicaciones acerca de mí, pero hay una en especial que recordamos siempre. Yo estaba muy enfermo y mi madre estaba muy preocupada por que los médicos me enviaron donde un especialista y le dijeron que talvez me tenían que internar si la medicina que me dieron no hacia efecto, así que la medicina no funciono y la noche anterior a la cita le pedí a mi abuelita que entre en mi dormitorio y ore por mí, yo sabía que Dios me iba a sanar. En la mañana siguiente teníamos la cita muy temprano y pude ver en el rostro de mi madre que estaba muy preocupada y que no había dormido bien esa noche. Y como lo dice la biblia “Dios no es deudor de nadie”. Cuando los médicos tuvieron los resultados de los exámenes y radiografías, recuerdo bien que el medico se acercaba donde nosotros estábamos, mi madre apretó mis manos y sus ojos se aguaron yo le dije a mi madre “tranquila mamá que Dios está con nosotros” recuerdo las palabras del médico diciéndole a mi mamá “tranquila señora que su hijo no tiene nada y las radiografías no muestran ningún problema parece como si fuera un milagro, todo está limpio, en verdad es un milagro”. La gloria es de Dios. I grew up a child of Salvation Army officer’s, meaning I lived at the corps. I had to be at church every Sunday and help with everything going on every other night of the week. We were living in Danbury, CT for 10 years when The Salvation Army moved my parents and they were stationed to Red Bank, New Jersey. This was a rough transition for me and I slowly started to turn away from Christ. I went through a dark time in my life where I started battling with anxiety and depression issues that were affecting many parts of my life. These issues kept me away from school for a while and I had thoughts about dropping out, but I found an alternative school that was really good for me and I was able to finish up and graduate. After I graduated my parents were stationed to Nashua, NH and I went with them and this is where I had a real encounter with God and restored my relationship. At this point I had graduated and was trying to figure out life and what I was going to be doing. My previous plans were to become a carpenter and that didn’t seem to be working out so then I was lost. Knowing when God chose you, He never lets up. I was called to become a Salvation Army officer at an early age. I did everything to disobey this calling. However, God kept on positioning people in my life to remind me what he had done for me in the past and what he was about to for my future. I felt a bit like Jonah, who kept hiding and jumping ship. It has taken me twenty-three years to submit to his calling. This was not an easy submission for me because I was thinking about the material things I had and what I would be leaving behind to take up his cross. It took Matthew 6:25-34, to open my eyes to see what was important. One morning I was driving to work, and I was praising God. I stopped at the red light, and an elderly man pull down his window and asked if I was ok. I said to him “why?” He said, “You are crying.” I said, “I was just praising God!” He said to me, “Praise be to God.” That same morning I was about five minutes away from my job, and I drove with my eyes closed to work. God was the driver of the car that morning. He showed me he was always with me. I did not realize my eyes were closed until the parking attendant told me and asked if I was crazy. This display of God’s guidance was what confirmed my calling. This showed me that He can lead me in the darkness and guide me into the light by keeping his protective arms around. God waited patiently for me to answer his calling, and he gives me the strength to endure any type of pain and prosecution that comes my way. I rely on Philippians 4:13 to get me through every situation. I grew up in The Salvation Army. My parents are faithful soldiers and God has always been a part of my life. God blessed our family and I never really had to worry about not having my needs provided for. Growing up, my sister and I always knew that my parents had a real faith and relationship with God. I strive today to follow the example my parents set for me. When I was 11 years old, I accepted Jesus Christ as my savior. I had been at Star Lake Camp for divisional music camp, and during the final altar call of the weekend, the Holy Spirit was urging me to move forward. I went to the altar, and accepted Christ’s free gift of life. It wasn’t long after that I felt a call to Salvation Army officership. Throughout my teenage years, I became more and more heavily involved in Army programming. While others at school were concerned with homecoming, I was thinking about Youth Band, Bible Bowl, Star Lake Music Camp, TAM Conservatory, and Youth Councils, all of which played a huge part in my formative years. After high school, I had a period of rebellion while attending Nyack College. Army programs, however, kept me around the corps and eventually pulled me out of that time. While that process was painful, God used that time to assure me of my calling and prepare me better. Shortly after that time, as I was just getting put back together, I began dating my wife Megan. Now we are here at the College for Officer Training, fulfilling God’s will for our lives and excited to serve in His army, for His glory and honor and the plans He has for us. A significant verse in my life is Revelation 22:17, for indeed Christ is coming soon, and there is still work to be done. I grew up in Canada, in a loving Christian home as the child of officers. Of course, it was hard growing up knowing that a move could always be right around the corner, but looking back I can see that the timing was in God’s hands. After four years overseas, we were blessed by a long appointment in the city of Toronto and it is there that I spent most of my life. Soon after arriving, at the age of 9, I received my call to officership. It scared me, because I had experienced first-hand how total surrender of one’s will to God affects relationships, family, and life in general. I saw how hard officership was, but not how rewarding. As a result, I denied my calling for many years – even though I knew in my heart it was true. I needed to be broken before I could come to a place of surrender, and that is exactly what happened. In my junior year of high school, my “perfect” life was disrupted by illness and death in the family. Suddenly, I had a lot of angry questions for God, and I felt like I could tell nobody – because I was the officer’s child, the good kid, the standard-bearer. After graduating from high school, I moved across the country in search of something different. I went to a place where nobody knew me, to learn about hands-on ministry, and as I served the poor, the homeless, and the addicted, God revealed himself to me again as the God of love. As I slowly began to accept this reality, I began to trust my life to Him. Now, almost a decade later, I am ready to face my future as a Salvation Army officer and I couldn’t be happier. Desde temprana edad me instruyeron en los caminos del Señor. Siempre tomaba parte en los programas y actividades de la iglesia. A los 10 años me mude con mi familia a Estados Unidos ya que mi mamá había aceptado el llamado del Señor para ser un ministro del Ejército de Salvación. Cuando llegamos a Estados Unidos me envolví en todos los programas de la iglesia, y estuve así muchos años. Me encantaba participar en las actividades de la iglesia, especialmente el equipo de bible bowl, el cual era una competencia donde teníamos que estudiar varios libros de la biblia y luego competir con otras iglesias. Aunque todo lo que me rodeaba tenía que ver con Dios realmente no me acuerdo que tenía una relación con El. Participaba porque me gustaba pero no lo veía como una forma de adorar ni representar a Dios. Lo que me interesaba era ganar y pasarla bien con mis amigos. A la edad de 19 años decidí que ya estaba aburrida de “la vida de iglesia.” Ahí fue cuando mi vida poco a poco se fue saliendo de control. Por rebeldía deje de hablarle a mi mamá y decidí que iba a vivir mi vida a mi manera y no hacer nada que tuviera que ver con Dios. Todo me parecía bien con esta nueva libertad que había encontrado. Experimenté con muchas cosas incluyendo el alcohol y a mi pensar estaba viviendo una vida feliz y tranquila y sobretodo divertida. Estudiaba, trabajaba y disfrutaba con mis amistades. ¿Qué mejor vida que esa? Pensaba yo. Así pasaron los años hasta que poco a poco comencé a sentir este vacío en mi corazón que jamás había sentido. De momento mi vida ya no tenía sentido, me sentía sola y vacía. Decidí que mi vida necesitaba un cambio, y después de 10 años me reconcilie con mi mamá y por primera vez sentí que había aceptado tener una relación personal con el Señor. Ahora he tomado la decisión de seguirlo solo a Él por el resto de mi vida y jamás volveré a mirar atrás. Su gracia y misericordia han transformado mi vida de una manera que jamás pensé sería posible y cada día me sorprende más y más. My name is Jonathan Miguel Quatela. I am the youngest of the three children in my family. I was raised and born in a Christian home. I have attended church since my birth, and from a very young age, I heard about God, and read my Bible. When I was about 8 or 9 years old I went to a youth retreat. On the last night at a bonfire I was able to understand that I needed a savior because I was separated from the Glory of God. In other words, I did not have access to God by my own merits. I was separated from God like it states in Romans 3:23, “For all have sinned and fall short of the glory of God.” But I also heard good news in John 3:16 “For God so loved the world that he gave his only Son that whoever believes in Him should not perish but have eternal life”. My Savior is Jesus, the one who died and was resurrected by the Holy Spirit after being dead for three days. I understood, and understand now, that on my own merit I could not be saved. I needed Jesus to save me. What a great thing! When thinking about the beginning of my relationship with Christ I cannot remember not believing in Him. I remember being invited to church when I was young. I eagerly wanted to know more about God and what it meant to be a Christian. Just as a person grows and matures, the same can be said about my relationship with God. My faith has grown and changed through the years. I cannot say that I have always made the best choices; thankfully I have realized this and had a desire for my heart and actions to change. This has been a continual process of giving my sins to Jesus and receiving His forgiveness. Growing up I willingly chose to go to church which led to choosing to receive Christ into my life. A verse that I have tried to model my life after comes from Romans 12:2 it says, “Do not conform to the pattern of this world, but be transformed by the renewing of your mind. Then you will be able to test and approve what God’s will is—his good, pleasing and perfect will.” I have been in various situations where I could have been shaped by the circumstance or the people, but instead I put my focus on letting Jesus change me from the inside out. Trusting Christ as my savior from sin has impacted me greatly. I have had many trials that could have led me to have a very different life; I do not know how I would have persevered through the hardships if I had gone through it without Christ in my life. Having Christ in my life has not made life easy but He has been my source of joy and peace. I know when things get overwhelming Christ will always be with me. Like so many, I was born into a Christian home but did not always believe or follow the Christian faith growing up. My parents were both officers (very good ones if I can say so humbly), but their strengths as pastors fell on deaf ears where I was concerned. I was the type of kid that felt trapped by my family’s faith, and grew bitter towards it because I wanted to do the things that I wanted to do. I could go on for a long time talking about all of the ways in which I messed up during my teen years. I could go into detail about the bad stuff I got into, but it really is not necessary. To sum it up quickly, I was not a good kid. This is a dramatic understatement! I did what I wanted to do, talk how I wanted to talk, and treated people how I wanted to treat them. I could point to my multiple problems, but I really only had one problem; I was insecure. Being insecure led me to compromise my morals for the sake of gaining friends. Being insecure pushed me to talk about and talk down on others to boost my personal self-esteem. Being insecure pushed me to do a lot of things I knew were wrong, but that I did to fit in and be one of the “cool” kids. I had always believed in God and I knew who Jesus was, but since my family did not attend church regularly, I figured Christianity and God must not be for me. At 16 years old, I dug myself into a deep hole. I had a boy problem, a drinking problem, a drug problem, a terrible attitude, ridiculously low grades, no respect for myself, no respect for others and I found myself in terrifying situations that could have left me dead. I found happiness in the world and the people around me and nothing else. I partied hard on the weekends and found myself in toxic friendships and relationships. I had no goals, visions or hope for my future. I remember one day I was sitting and thinking about my life; I came to the conclusion that living meant nothing to me. Then, an unexpected lifeline was thrown my way: I met a boy and he was different from the others. His family took me in with open arms and loved me where I was. I began attending The Salvation Army and the rest is history. That boyfriend I had is now my husband, and I am forever grateful to God for bringing Alex into my life. As I continued to attend church, I began to feel led to give my life to Jesus, so I did. I recommitted my life to Christ and began giving up my worldly lifestyle. After being saved, I slowly gained hope for the future and a purpose for life. Becoming a Christ-follower is the greatest, yet most challenging decision I have ever made. Jesus is my best friend, and I love Him and trust Him with everything in me. I know that my faith is real and I know that Jesus is real because of what He carried me through. It’s no coincidence that I am where I am today. “Coincidence” or “chance” could not have miraculously restored my life. Jesus did that. He is real and He is my Savior. I am sharing my life story with you, not because I want you to pity me or feel sorry for me, I am sharing my life with you because it bears witness to the life changing power of our Lord and Savior, Jesus Christ. My father died from cancer when I was only 5 years of age and my mom remarried a man half her age when I was a teenager. Not long after, he began to heavily drink and became an abusive alcoholic. He sexually abused me and excused it by saying he thought it was my mother. Sadly, my mom took his side. I became a bitter and resentful teen. As a means of escape, I joined every after school program. At one such program I met a girl who invited me to her church youth group. Despite my lack of knowledge about faith, I decided to accept the offer. After one of these meetings I found myself with the youth leader talking about life at home and she offered to pray for me. At that moment, I experienced feelings of safety, worth, acceptance and love rush over me. It was in that moment, that I accepted Christ into my life as my Lord and Savior. After some time of growing in God and allowing Him to change me, I was able to forgive my abuser and my mother. Furthermore, through the truths and love of Christ, I have been able to move past the feelings of shame, guilt and ugliness to become a strong, victorious, treasured woman of God. Mi nombre es David Soria, soy ecuatoriano, estoy casado y tengo 2 hijos, tengo 6 hermanos, mi padre falleció hace 4 años, mi madre es cristiana, vive en mi país natal. A los 16 años bebí por primera vez en una fiesta en mi casa, y este fue el inicio de algunos años de una vida sin sentido y empecé a sentirme solo y con sentimiento de remordimiento por mi mala conducta, yo sabía muy dentro de mi ser que esto no agradaba ni a mis padres, muchos menos a mi Dios. Con el tiempo se fueron presentando problemas en mis estudios, mi comunicación con mis padres se volvió insoportable, con mis hermanos mayores tenía serios enfrentamientos, y había momentos que yo mismo me odiaba. Mi nombre es Lilia Soria nací en Guayaquil- Ecuador, estoy casada, tengo una hija de 18 años y un hijo de 20 años, tengo dos hermanos y dos hermanas, mi padre falleció cuando yo tenía seis años de edad, mi madre trabajó como enfermera por 26 años. Tuve una abuela materna cristiana que cuidaba de mí y de mis hermanos. Ella fue una persona muy importante en mi vida, porque me ensenó del amor de Jesús, y me llevaba a la iglesia desde muy niña. Cuando tenía 13 años, mis abuelos se fueron a vivir a otra ciudad, y deje de asistir a la iglesia . Mis hermanos organizaban fiestas casi todos los fines de semana, y poco a poco fui olvidando las enseñanzas de la iglesia, sin embargo al llegar a la adolescencia empezó a sentir un gran vacío muy dentro de mí, así que pensé que de pronto me hacía falta estudiar algo más que mis estudios en el colegio y comenzó a estudiar yoga, danza, etc. , pero notaba que nada me llenaba este vacío y una noche levante mi mirada al cielo que por cierto estaba lleno de estrellas y pensé ¿.será que es Dios que me hace falta? y sentí un gran deseo de saber más de Dios, y en esa misma semana tocaron la puerta de mi casa unos miembros de la iglesia que estaba cerca de mí casa y me ofrecieron lecciones de la Biblia y por curiosidad les acepte los estudios y al mes fui a la iglesia y más tarde acepte a Cristo, y mi vacío fue llenado de gozo, paz y amor. Mi familia no apoyaba mi decisión pero hoy para la gloria de Dios toda mi familia asiste al Ejército de Salvación. En mayo del 2011 tuvimos problema con el carro y era difícil llegar a la iglesia y conseguir un taxi, así que decidí ir a buscar una iglesia cerca de mi comunidad, y para mi sorpresa me llamó la atención la iglesia de Ejército de Salvación que estaba a tres bloques de mi casa. Fui sola el primer domingo, me recibió el mayor Angelo Rosamilia y me dio un abrazo lleno de amor sincero que al siguiente domingo yo estaba con casi toda mi familia excepto mi esposo, que lo conquiste a que viniera por el día del padre, y juntos aceptamos ser miembros de la iglesia. En un retiro de damas escuchando un mensaje de consagración sentí el llamado de servir a Dios tiempo completo y por medio de la oración logre recibir la aprobación de Jesús en esta decisión tan importante para mí y mi familia. Es hermoso ser un testimonio viviente de lo Dios puede hacer en nuestras vida y lo más impactante es que ese Dios que cambió mi vida, hoy puede cambiar la tuya también. Having known Christ as my Savior at a younger age makes me no better than someone who knows Christ later in their life. Even though I claimed Christ as my savior I still had a mind of my own. I wanted to do things my way without the thoughts of others. I wanted to see success not only for me but also for my family. I lost the focus of God and all the principles that were built from a child early on. I lost my great grandmother when I was fourteen years old, she was my Christian influence and it brought me closer to God. During my teen years I increased my activities at The Salvation Army. I became a member by becoming a Senior Soldier. I got very comfortable with what I was doing and felt sure enough that I was to become an officer for The Salvation Army. It became overwhelming and I was not willing to accept that calling. I resisted God, and discovered that it had to take a blessing from him to see where my faith truly stood. My daughter was born premature and it just happens to be that moment where I needed to find the Lord yet again. I needed the strength for my fighting child and my family in general to be strong as one, and The Lord showed grace upon me. Presently the Lord is still working daily on me and molding me to be a better person in his image. Not only have I had to struggle with my resistance towards a calling but with my family. The Lord has blessed me in ways I cannot see and thus making Jerimiah 29:11, "For I know the plans I have for you,” declares the LORD, “plans to prosper you and not to harm you, plans to give you hope and a future, something I hold onto." I grew up in a small Pennsylvania town called Oil City. My family seemed pretty normal to me, my mother was a housewife and my father was in the Military and worked fulltime. I had one older brother; He and I were the only ones that would go to church but not consistently. We went to different churches until we settled with The Salvation Army. As I grew older, I started realizing that things were not normal; my father seemed to become distant from the family. I turned to the members of the church to fill that void, the men at the Salvation Army became the father figure that I was seeking and not receiving at home. I believe that God spoke to me again, and I realized resisting Him was no longer an option. I finally complied and said yes I will do what he has planned for me. I hesitated on telling my wife, but eventually we began to speak to each other about becoming officers. We were no longer going to resist His call. We accepted his calling and began to pursue the calling on which God had given us to. I was born in a Christian home to minister parents. My entire life I have gone to church and I can’t remember a time when I did not know Jesus. I can’t really think of a specific time when I accepted Christ as my savior. Since at a very young age, I knew that Jesus had forgiven me of my sins and that He was my savior. My walk with Christ has grown over the years. One of the defining moments of my relationship with the Lord came four years ago in 2010. At age nineteen I was diagnosed with cancer. I was on chemotherapy for several months and radiation therapy for a few weeks. It was a very difficult time in my life. My faith was shaken and I was even a little angry with God. As the days went on things became more and more difficult. I was very frustrated with life. One day when I was walking by myself I felt the Lord speaking to me. He told me to let everything go and trust him. He let me know that even though things were very hard right now, I was still in His hands. From that moment on I learned to trust that God has control of everything. Even though things didn’t get any easier from there, getting through them was definitely easier knowing that God was in control. I was a man as empty as the many cans and bottles outside my house. I did not find peace in the bottle, just a place to hide and be lost. I wanted to stay lost! My anger and emptiness was as big as my thirst. The fighting on the inside of me was only causing more problems on the outside. People thought I had it all; money, property, two businesses, fancy cars and lots of drugs. My life behind closed doors however, was a drag out, knock down, smash things, scream, cheat and lie marathon. When my first wife left with one of the many man she had been sleeping with; my drinking went up while my cash flow went down. After trying to end my pain by trying to end my life; I spoke to God for the first time and a very long time, but it was not a very nice talk. I was cleaning up vomit and screaming at him. What I did not know is that God had already started putting things in place. A person was sent to me to help me with my drinking. He encouraged me to attend A.A and I spend the next year in A.A. meetings, but was still very empty. I again spoke to God; this time I was more humble. God was again at work and sent my cousin to take me to a tent Revival. There God called me from my back row seat to be freed of my fight with drugs and emptiness. God’s grace met me in the aisle and changed my life forever. I no longer was lost in the darkness. God continues to give me direction and nudge me in the right way. God’s blessings and love have shown me that although I thought I was trash, He thought I was very much worth recycling! It is Raining Blessings, Hallelujah! I was adopted at three days old by compassionate and loving parents. I attended my Uncle’s church as a kid with my parents. At the age of fourteen I attended a youth convention called “Acquire the Fire” with my youth group. During that weekend I came to understand Jesus a little better and gave him my life. I continued with church and youth group until I was a senior in high school. I got a full time job and that kept me pretty busy and working on Sundays. After graduating business school with an Associate’s Degree, I worked two part time jobs to make a full time job and just kept pushing Jesus further and further away. I would make excuses why I did not have to attend church. I felt God pulling at me to fully surrender to him, but I kept pushing him away. I was having fun being a grown women and having materialistic things. I could come and go as I pleased and did not have to answer to anyone. I met my husband Jamie through mutual friends one night. After a short few weeks our relationship became serious. I started attending church with Jamie and Emma and as the weeks went along, I became closer to God. I started to feel him tug on me again to fully surrender my life, but I still struggled to do so. God was calling me to do more with my life than I wanted. As I continued with church, I was becoming closer to God again and feeling better about myself and my purpose in life. Over the next several years God molded me and used me in ways that I could have never imagined. I finally gave God full surrender of my life. After I gave my life to him fully he opened up many doors of blessings upon my life.Jeremiah 29:11 “‘For I know the plans I have for you,’ declares the Lord, ‘plans to prosper you and not to harm you, plans to give you hope and a future’”. I grew up in a household where the name of Jesus was just as common as peanut butter and jelly; with parents who would give it all for the sake of ministry. It was hard work always feeling like I had to be a poster child with a permanent smile on my face because of who my parents were not only in the church but in the community. I became tired of living what felt like a façade which became a mental prison. I became extremely critical of myself and debated everything out of rebelliousness because all I wanted was to be free. I felt like I had no identity and daily dreamed to have one apart from being a Pastor’s kid. Growing up that way made me feel so restricted and uncomfortable to the point that when I turned 19yrs old I moved out of my parent’s house and into my first apartment with a guy who told me all I wanted to hear and changed my life forever, for the worse. What I thought I found in this new Prince Charming would be something great and of grandeur but I soon found out that greatness and grandeur came with a hefty price tag across the body and face from the hand of the man who claimed he loved me. Suddenly the façade lifetsyle I was yearning to leave behind just a few months earlier didn’t seem so bad after being physically abused by my first boyfriend. Fast forward and I am now 25yrs old and my life is out of control and turned for the worst because I was too proud and stubborn to admit my faults and wrong choices. I was working hard to change someone who didn’t want to be changed instead of working on changing myself. But when life was at its lowest, it was here I could always remember a voice that would encourage me and remind of the truths I remembered from songs I heard in church throughout my childhood. These songs weren’t just pick-me up songs but songs that had messages for my life and that were founded upon Scripture. And when I placed my attention to the words of these songs it inspired me to physically go, pick up and dust off my bible and search through its pages to find the verses and texts that correlated to the words I sang. It was amazing. Slowly and while I still remained in my ugly circumstance God, at the same time was drawing me back to Himself and building me back up piece by piece. It took some time in fact many years for me to stop the back peddling and accept that I was being pursued by a God who loved me more than anyone I’ve ever known. I was standing in my living room listening to a cd I had purchased and realized that despite my faults and wrong choices God received me, just as I was, and forgave me for my foolishness in pride. It became clear that that small voice was God all along and the journey he lead me through in searching His Word was a form of courtship between Him and I. I finally gave myself to Jesus Christ again and since have become a new creation in Him. (2 Corinthians 5:17 NIV) Although I had initially given my heart to God earlier in my teen years, this was in essence the very first time I gave Him all of me. All of my heart, my entire mind, and every part of my soul and body too with a new understanding of what freedom is really all about. Freedom is about the person Jesus Christ and the peace He offers to everybody. It is safe to now say, I live a life free from mental struggle and physical harm because of the real price Christ paid on the cross to forgive me of my sins. What a happy day it is. My life is a perfect example of God’s grace and mercy. I grew up in one of the roughest neighborhoods in Philadelphia. Violence and drugs were rampant. My parents where good people but did not know the Lord and struggled with life. Both came from abusive households and as a result my dad was emotionally detached and my mom was diagnosed with Bipolar Schizophrenia. My childhood was not the hardest, but was also not the easiest. I was a very shy and lonely girl and because my mom was in and out of hospitals and my dad worked nights, I was often on my own, taking care of my younger sister. I started going to The Salvation Army when I was six years old. One day, a woman from the corps knocked on my door with a bass drum, some other kids, and a tambourine. She invited me to Sunday school, and although my mom was hesitant she eventually let me go. That decision was the catalyst that changed our lives. I grew up in a Christian home, with Godly parents who very early on instilled Christian values in me. Church played a big role in my life, as I spent the majority of my free time there. Every night my dad would hold devotions for my brother and me, one night at the age of 4 after our devotions I asked Jesus to come into my heart. Although I didn’t know the full meaning of the decision I made I knew that Jesus loved me and that I loved him and at that time that was all I needed to know. As I got older I continued to be involved in church activities and at the age of 12, I made a more formal decision at church and asked Jesus to be the center of my life. When I 16 my family made a move to Pennsylvania from Florida, as my parents were challenged to begin a church in Bethlehem with The Salvation Army. At this point in my life I needed to draw closer to God as I had to leave my friends, family and life behind to embark on a new journey with my family. Jeremiah 29:11 tells us “For I know the plans I have for you, declares the Lord, plans to prosper you and not to harm you, plans to give you hope and a future”. The words of this passage became relevant to me as my parents continued their ministry at The Salvation Army, and I began to fall in love with the mission and work of the army. In the summer of my junior year of college I received the calling to become a Salvation Army officer. 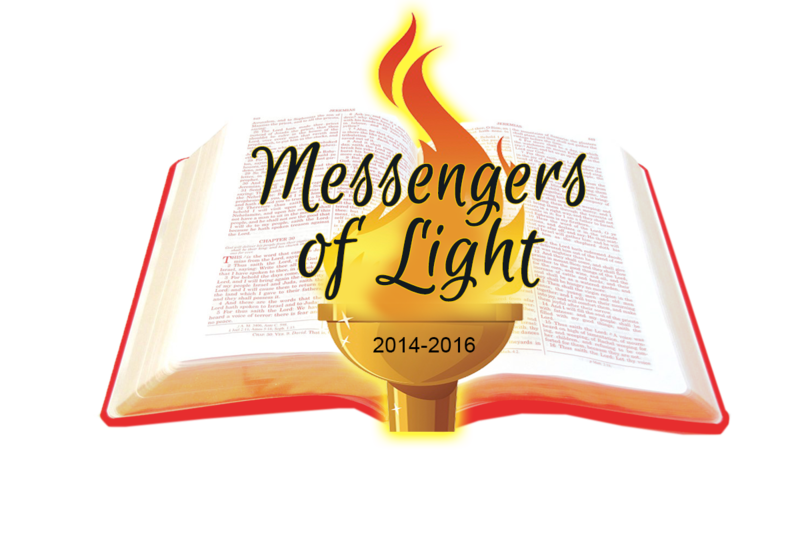 Although I didn’t accept the calling until years later, I am happy to now be a part of the Messengers of Light Session and to be living the words of Philippians 1:6b “He who began a good work in you will perfect it until the day of Christ Jesus”.